It's been a while since we had a good Microsoft-buying-Nokia rumour to get our teeth into, so thanks be to The Register for bringing us the news that Microsoft once valued the various bits of Nokia's business to see which it would be worth buying, before deciding that the correct answer was: none of them. The 'truth' has emerged after Nokia's share prices hit an all-time low of really, really low and the buy-out rumours started swirling. According to The Register's "well-placed sources", Nokia let Microsoft have a look at its books in late 2011 to allow the computing giant to decide which bits of the company it fancied buying. But after having a good old dig through the books, the story goes, Microsoft was all: "thanks but no thanks!" and went on its merry way. The Microsoft buy-out rumour first emerged in December when Danske Bank reckoned that the company would scoop Nokia up in the first half of 2012. That obviously didn't happen and although Nokia was quick to dampen the rumours, they just wouldn't die. Maybe this latest revelation will be the nail in that coffin? Nah. 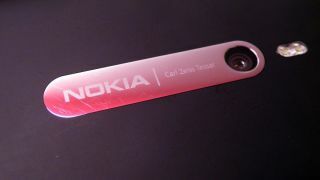 We'd wager that the rumours will continue to surface until long after ex-Microsoft Henchman Stephen Elop leaves Nokia.